Nine standards as performed by the popular Southern California brass ensemble made for tuba soloists. 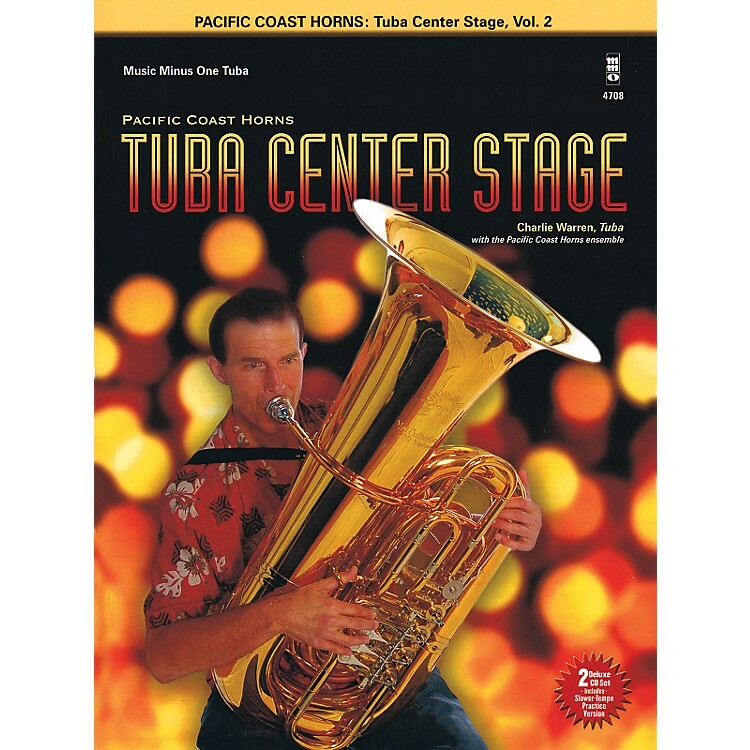 With Pacific Coast Horns - Tuba Center Stage, Vol. 2 you can learn to play nine standards on tuba along with the super entertaining and popular brass quintet. This deluxe edition includes the printed solo part, as well as 2 CDs with complete reference versions and accompaniments minus you! The CDs also contain -12% and -25% slow practice tempo tracks. Just listen to the CDs, read the printed parts, and you not only get to play with the Pacific Coast Horns, but you now get to be the soloist! Who says tuba players can't have any fun? This songbook/CD lets you have a blast, literally. Order now!